Today, I could have benefited from a so-called "Integral Awakening Skype Session" to foster my "transformational process"... But I chose not to, just like I choose not to attend to the plethora of spiritual events available in the Bay Area, and here is why. You would think that the Bay Area is the best place to nurture your spiritual side given the vivid subculture and the diversity of practices available. And yet I find myself rather closed to the spiritual market here, as if too much exposure to it had made me dull. Is it a personal disposition? Maybe, after all I grew up in a quite secular environment. But really, the red flag to me is the lack of discernment by spiritual teachers about spirituality itself. Spirituality is an intimate relationship with reality, it requires observing and experiencing this relationship directly, exploring the territory by yourself before relying on maps others have drawn before you. So it produces an interesting paradox when you live in a culture imbued with spiritual concepts. You are called to encounter them in discussions and readings, and even though you're talking about existential and ultimate concerns, you end up sometimes using them more or less casually. 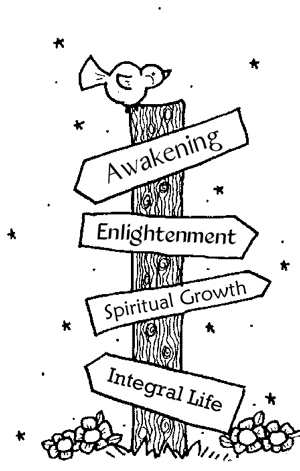 I don't know you, but I find it difficult to keep giving a special meaning to a spiritual concept like "awakening" or "epiphany" when I read about it in promotional emails. A high demand for spirituality inevitably means a spiritual market, in which you necessarily find lower quality offers. And maybe because spiritual people don't seem too good at marketing, you also find a lot of low quality marketing. Flyers and ads flourish on coffeeshops pinboards for spiritual workshops, you receive weekly Facebook invitations for a new sangha or a sacred something. Terms such as "consciousness," "integral" and "awakening" become marketing buzz words. Spiritual lingo is used over and over to sell tickets to workshops and talks by otherwise interesting people who promise you the moon. But spiritual concepts are elusive enough that if they're abused, I get completely lost in what becomes meaningless verbiage. Language is one of the few ways - though slippery and fragile - spiritual seekers can relate to the object of their search. 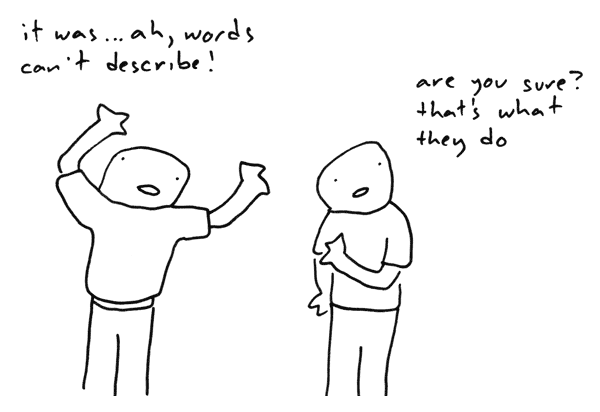 When language is used loosely and words mean different things, they loose their significance. What does "spiritual growth" exactly mean? Among Google's 33 million results, I would bet there is a wide range of interpretations. Terms that for me used to carry a potent transcendental meaning, I now hear them perverted for mundane feel-good experiences. The pre-trans fallacy is particularly at play in the popular use of spiritual concepts. It's okay to take on a practice or gather for any kind of group experience, but we get lost as to what we're really doing if we use the same concepts to refer to radically different experiences. You may argue that people have different interpretations, and that it's not a problem in itself. I agree, but the problem is when they don't recognize that they do. It's a problem because it results in little dialogue about the actual meaning of spiritual ideas - why bother? It looks like we're all talking about the same thing anyway. This lack of reflection is reinforced by a trend in the spiritual world against mental endeavors; discussing the meaning of concepts would be falling prey to ego's tendency for mental masturbation. Here notice the self-justifying loop reasoning. So we're left with a sea of words with loose meaning floating around, unsure of how they relate to 1) each other and to 2) empiric experience. How to share with others about these experiences when we have no clear language to communicate? I find that even for myself, words have lost their power. "Awakening" evokes less the inspiring mystery that it used to, and more the colorful ad for an Integral Awakening Skype Session that passed by me today. Discrimination: a distinction; discernment, the act of discriminating, discerning, distinguishing, noting or perceiving differences between things. I'm not saying these spiritual services don't offer a valuable service. But if their mission is to raise consciousness in the world, I wish they would lead by example and reflect on what it is exactly that they're selling. The psycho-spiritual market might be the only market where this integrity is so directly a token of credibility. What do I suggest? To discriminate! 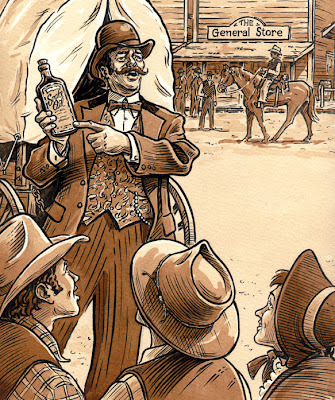 Before science had clear regulative institutions and standardized review processes for what is good and bad science, you could buy a miraculous elixir from a nearby alchemist who, I'm sure, used a lot of savvy scientific words to explain how his elixir would cure you. Does it make it good science? Does it make it an effective elixir? In the absence of a scientific approach to spirituality, spirituality will stay stuck in the era of miraculous elixirs. More problematic, it will fail to gain any credibility in our rational world where rational minds are prompt to throw the baby out with the bath water. The good news is that scientific approaches to spirituality already exist - or at least, are in the building. I'm not very familiar with his work, but having encountered some of Almaas' writings, this guy is rigorously specific about the actual experiences that he builds his concepts upon. Of course we need a broader definition of science to allow for such a work to be considered science, which I find most readily in Ken Wilber's Integral Theory. But not everyone is interested in theorizing. So from here I see only two options to be spiritually legit. Either you choose to study spirituality and to clearly define the spiritual concepts you use when you're preaching. Here Wilber and Almaas are my models. Either you choose to not bother too much with these concepts and you avoid using them, translating your experience in your own words. Or you use them cautiously, making only soft claims about them. It's totally fine as long as you have the integrity not to abuse spiritual concepts to sell more. My favorite example in this trend is the spiritual teacher Adyashanti, who is the first to demystify spirituality - generally a good sign!